I still have scrapbooks which I made in the 1970’s and which kept me occupied for hours on end during the long school holidays when home alone. A Villa scrapbook is my pride and joy; A picture and write up of Chris Nicholl scoring all 4 goals ina 2-2 draw with Leicester 1n 1976, the same week as he won a cap forNorthern Ireland. Brian Little with long hair and news cuttings about the numerous trophies that Villa won in that decade. 1976 was clearly a good year for a scrapbooking fan as I also have one of the Montreal Olympics with special focus on the gymnast Nadia Comaneci the first person to score a perfect “10”. Wonderful memories of a sports-mad childhood. Of course it didn’t stop there. As soon as Will could write I encouraged him to keep scrapbooks of his holidays writing down everything we did and sticking photos, tickets, leaflets and pictures on the pages. Every now and again I get these out of the cupbaord and have a laugh. It’s great fun to look back and remember the stories behind the photos. Scrapbooking and journalling today however is a completely different exercise. 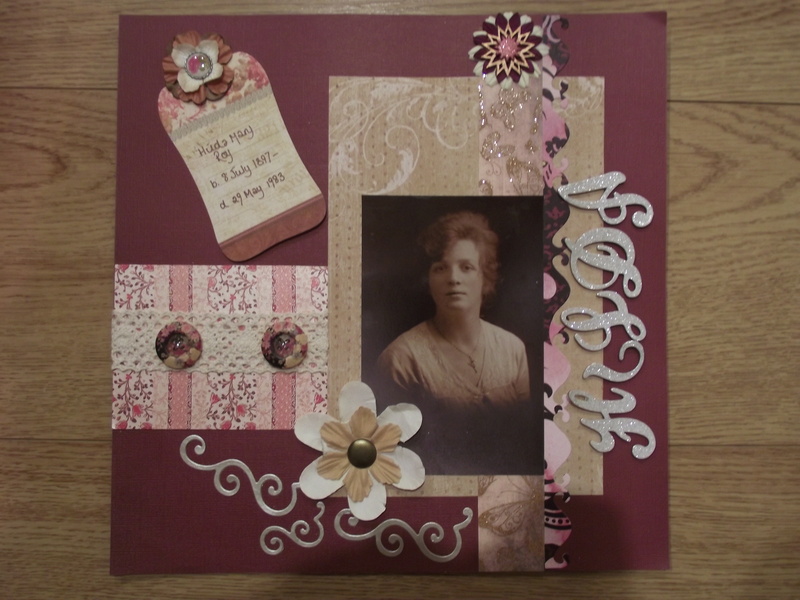 Instead of the traditional muted thick recycled scrapbook paper, there are beautiful papers, embellishments, flowers, stamps, journal tags, altered art, distress inks, brads and ribbons to construct your pages with and you can be as flambouyantly creative or minimalist as you like. 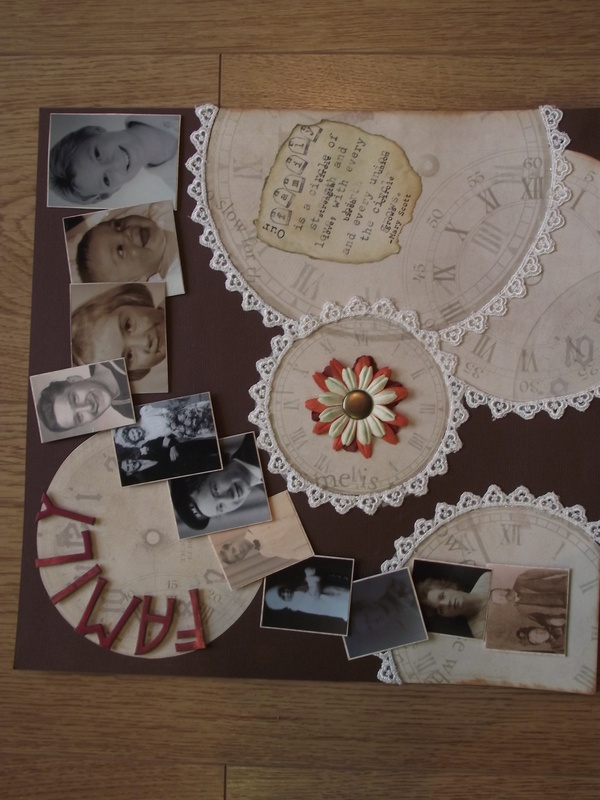 Whatever mood you find yourself in, there will be a scrapbook page just waiting to escape onto paper. 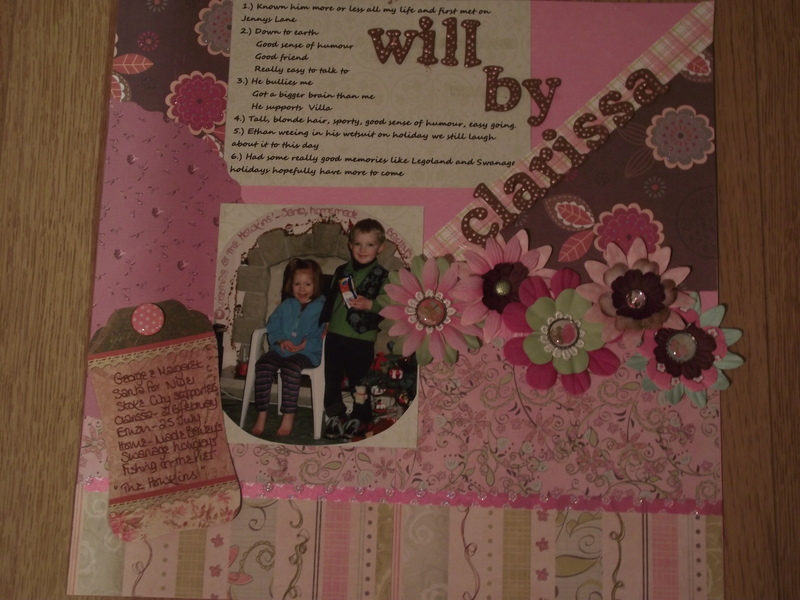 I have found that scrapbooking is both relaxing and artistically challenging and a great way to unwind. In the last few months I have been inundated with requests to consider “teaching” scrapbooking or holding scrapbooking crops so that groups of scrapbookers can seek inspiration from each other. 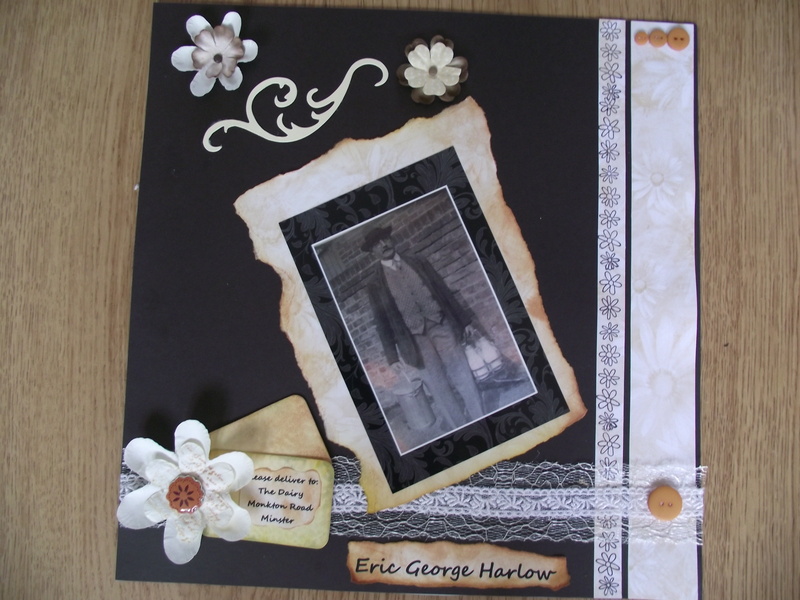 Some people have also asked me to create scrapbooks for them or their family as presents using family photos. 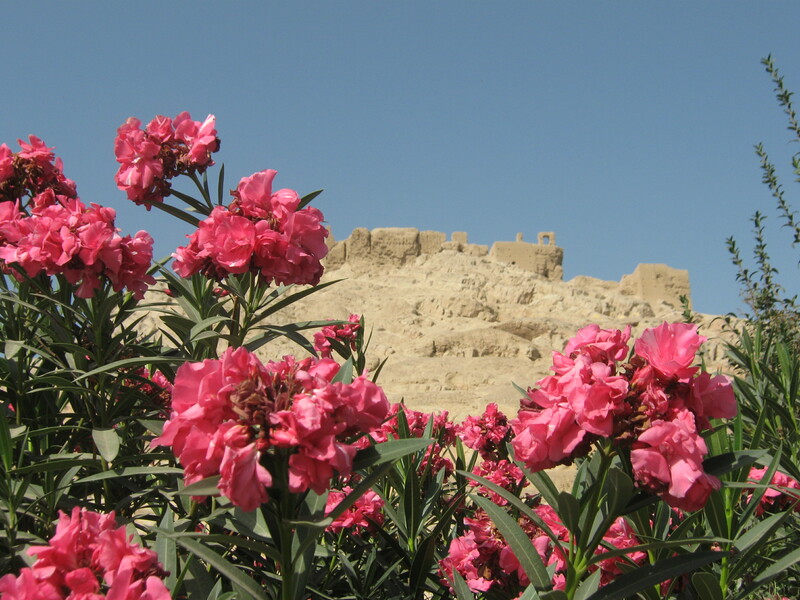 For me however scrapbooking is not just making pretty pictures. It’s a very personal thing and most of my inspiration comes from the stories and history behind the pictures rather than the photo itself. Colours, patterns, the layout and overall effect comes from knowing my subject and I compliment that knowledge by using various techniques. This is what makes it special. 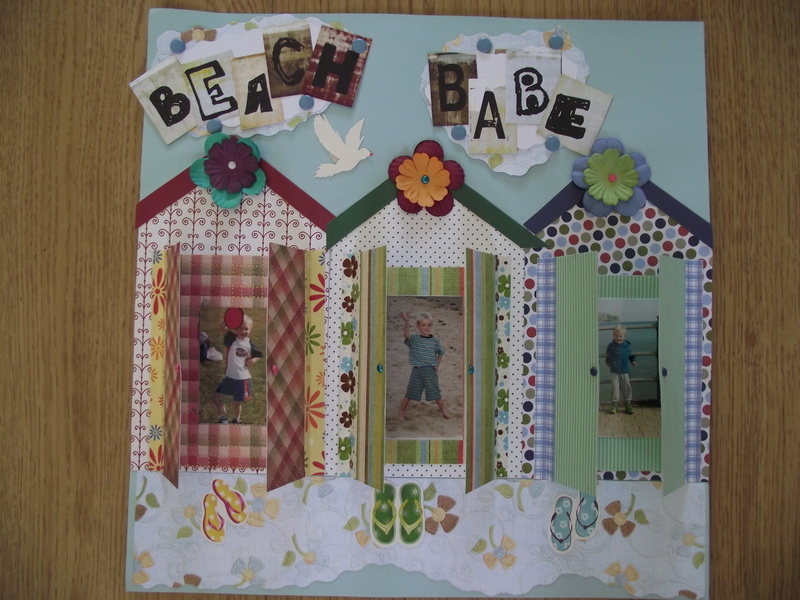 Scrapbooking reflects an individual’s personality and taste, their creativity and patience. It is very simple especially as there is no right or wrong way to do it. I have developed a certain style and I favour certain colours over others. Some like the pages, others aren’t so keen. Likewise, some pages appeal to me more than others. 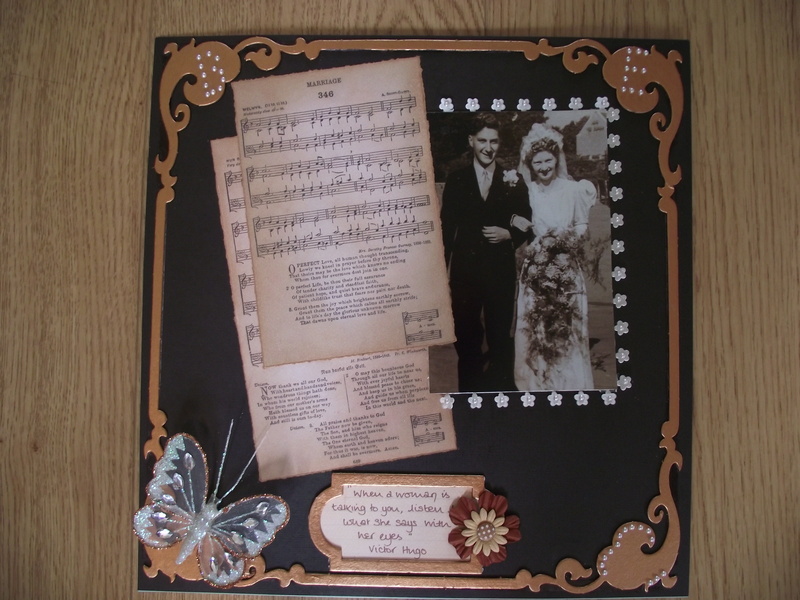 Why not have a go and create your own scrapbook using family photos, facebook comments, school reports or newspaper cuttings just to start. You’ll be surprised how much stuff you have around which can be used to make special memories.